夏札 生紀多傑法王認證移喜泰賢為福德法幢劉上銳下之金剛上師之傳承人HH Chatral Rinpoche has bestowed upon Yeshe Thaye the Coronation Ceremony by presenting a Pandita Hat and two hand-written letters to him, in recognizing him as the Dharma-heir of Ven. Lama Sonam Chokyi Gyaltsan (alias Ven. Guru Lau Yui-che). 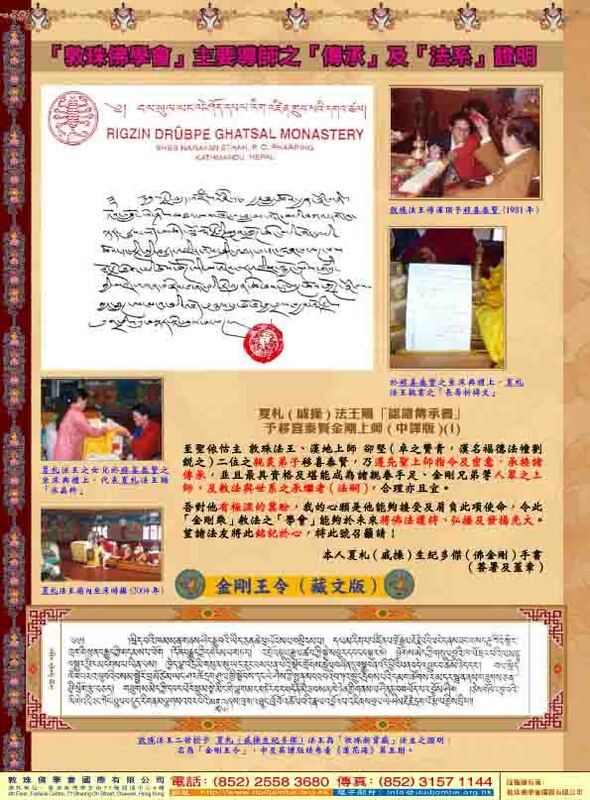 HH Chatral Rinpoche has bestowed upon Yeshe Thaye the Coronation Ceremony by presenting a Pandita Hat and two hand-written letters to him, in recognizing him as the Dharma-heir of Ven. 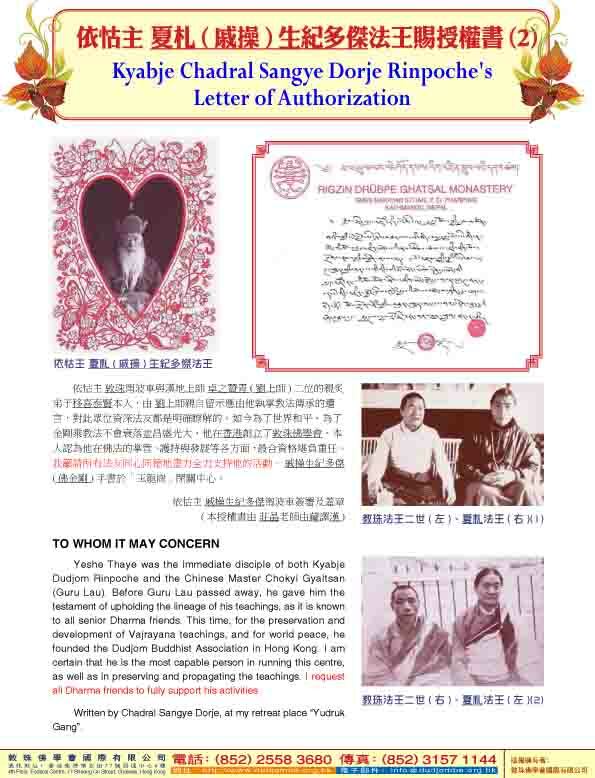 Lama Sonam Chokyi Gyaltsan (alias Ven. 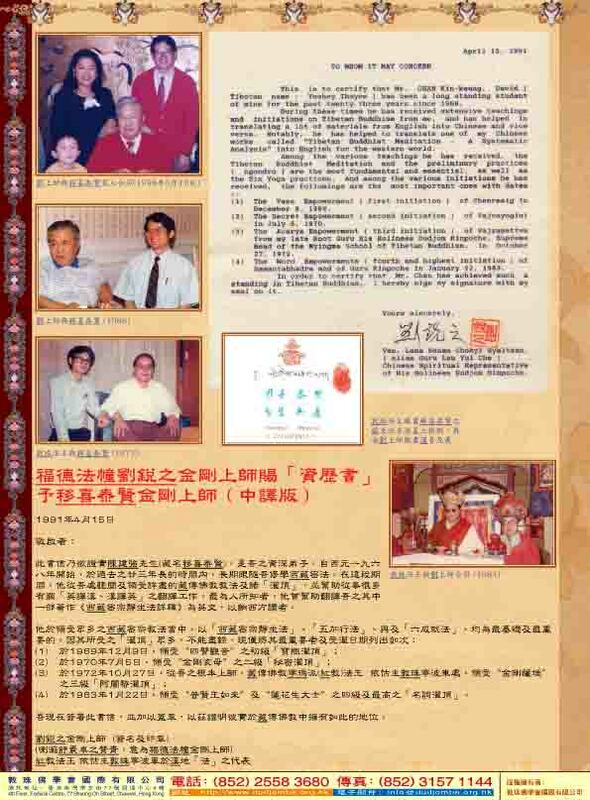 Guru Lau Yui-che).